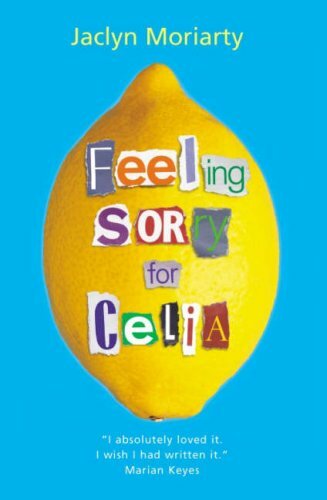 Dana: The main character of Feeling Sorry for Celia isn’t Celia; it’s Elizabeth. Elizabeth is a little bit of an awkward teenager who really likes to write letters, and Celia is her best friend, who really likes to run away and join the circus. Elizabeth has to figure out what to do with herself now that Celia’s gone, and it’s a novel in letters, so of course, she writes to her pen pal. And gets ridiculous notes from her mother about raspberry-flavored cat food. And finds mysterious letters from a secret admirer in her backpack. And conducts her entire internal monologue in letters addressed to her by The Association of Teenagers, the Best Friends Club, The Secret and Mysterious Association of All That Is Secret and Mysterious, The Society of High School Runners Who Aren’t Very Good at Long-Distance Running but Would Be if They Just Trained, et al. This book very quickly became my most important comfort object (besides, of course, Harry Potter*). The first time I read it, I was visiting my best friend in Germany the summer I turned 15, and when I got home I went off to Borders (may she rest in peace) to pick up my own copy. It’s originally Australian, and some terrible person in America decided to publish it as an adult novel and change the cover. I hate that person. I managed to procure a British copy with the right cover for myself, and it’s still the book I read whenever I’m sad, every time I have to move and leave behind people I love, when I’m stressed about school and work. I’m probably going to go read it right now. It’s not that it’s a mopey book. It’s actually, ultimately, a happy book, but I think that for 15-year-old me (and 27-year-old me), it was also just very true. Or I’m just a sucker for teen girl friendship/romance. Whatever. 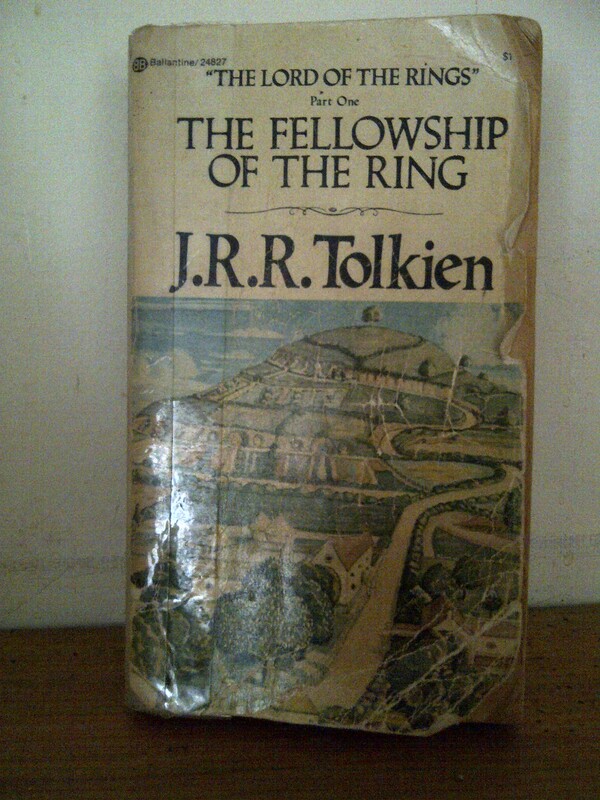 My family’s copy of The Fellowship of the Ring. The Return of the King has since gone missing, which is I guess what happens eventually when you take a book everywhere with you. The Lord of the Rings made me want to write. It made me want to read. It made me want to spend my life surrounded by books—teaching them, making them, distributing them, whatever. It made me want to create my own fantasy worlds. It made me want to live in his. There was a pretty significant period of time when I wouldn’t leave the house without a copy of The Return of the King physically on my person. I was enchanted with everything about those books, from the writing to the world to characters (ahh, Aragorn, my first love), and all I wanted was to be a part of that magic. Hell, that’s still pretty much all I want. To be a part of the magic that brings books and their people together. Thinking about it that way, well, I know I’m a bookseller for a lot of reasons, but The Lord of the Rings is definitely in the top five. *Which, let’s be honest, was the Big Book for everyone who was 15 when we were 15. This entry was posted in April 2014 and tagged about us, April 2014, australia, epic, fantasy, favorites, feeling sorry for celia, Harvard Book Store, jaclyn moriarty, jrr tolkien, letters, lord of the rings, lotr, middle earth. Bookmark the permalink.